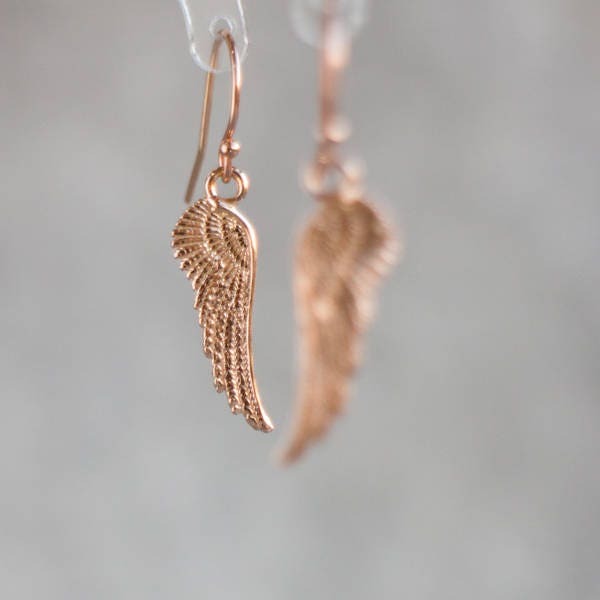 A pair of beautifully detailed 24K Rose Gold Vermeil angel wings are simply swinging on 14K Rose Gold Filled ear wires for this lovely drop earrings. Easy to wear, lightweight, perfect for everyday! 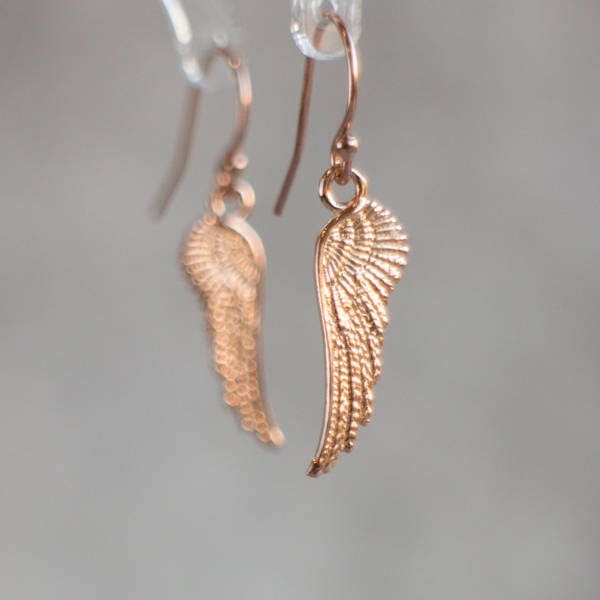 Perfect gift for a someone that you think they're an angel! 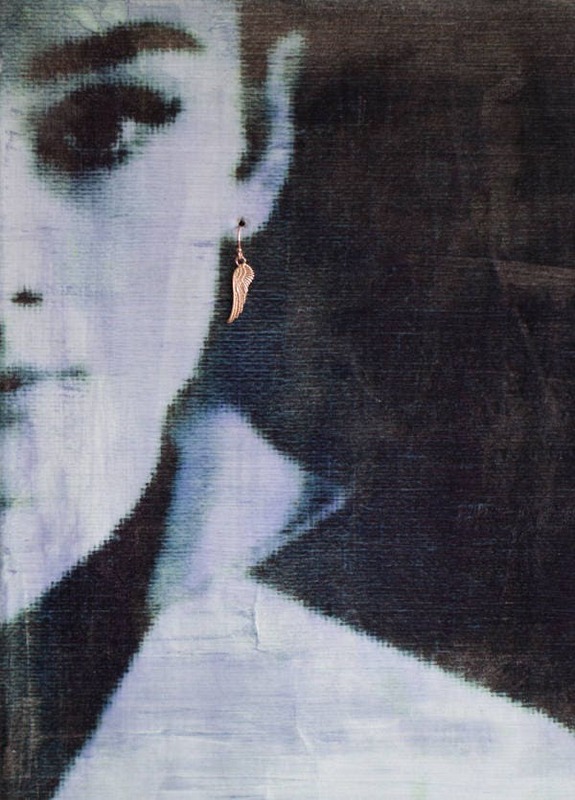 •All photos are magnified to show detail. Please see the 3rd image for the scale and check the measurements if unsure! 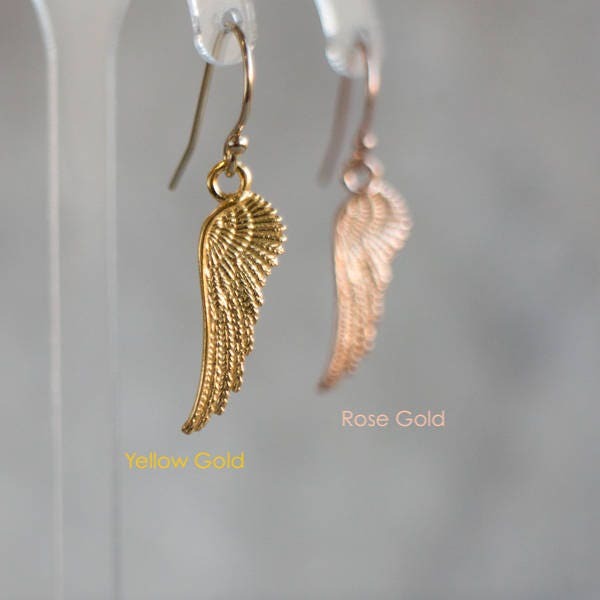 •These small earrings have a total drop of 30mm/ 1.2" from top to bottom approx. 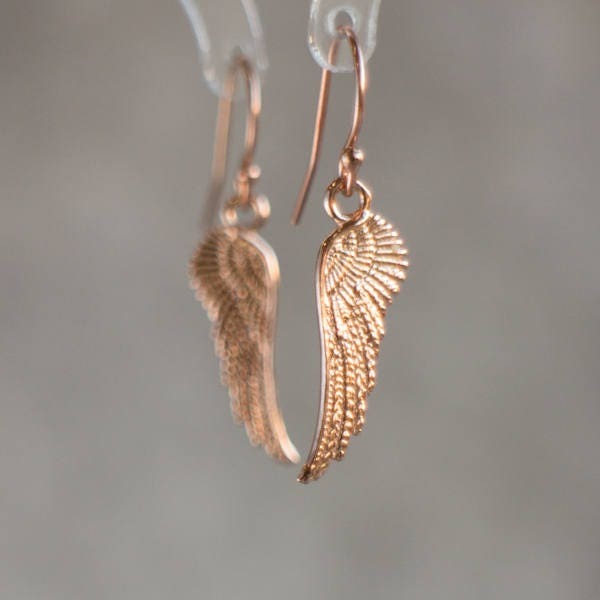 •Angel Wings are 24K Rose Gold Plated over Sterling Silver. They measure 21x6mm. 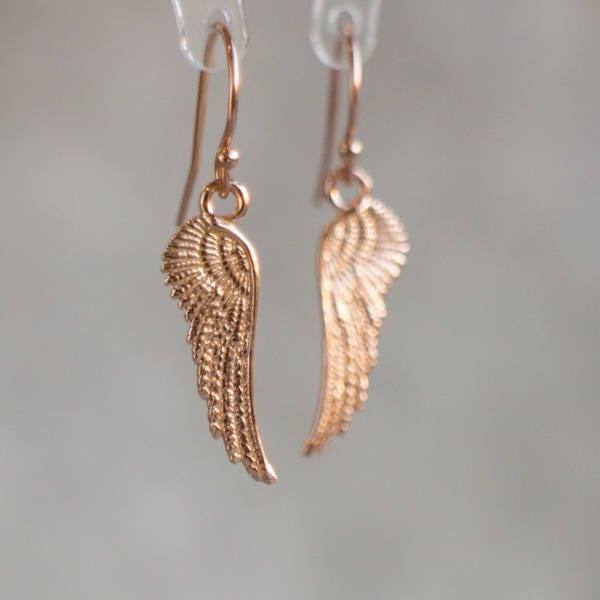 •14K Rose Gold Fill ear wires. Very, very nice earings! thanks.